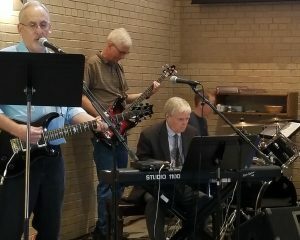 Steadfast is St. Stephen’s worship rock band, and they lead the 11:00 Sunday service weekly year-round. The core group consists of guitar, bass, drums, and vocalists. They rehearse weekly on Thursday Evenings from 7:00-8:30 pm. The group is open to all interested instrumentalists and vocalists; please contact Rebecca Redmann to get involved.